Settle down folks, that means all of you celebrating or lamenting the X-Men and the Fantastic Four going to the Marvel Cinematic Universe (MCU). We still have Avengers: Endgame to deal with and that monumental conclusion to the MCU Infinity Saga is just over a month away. It’s a given, Marvel Studios and Disney will have our hard-earned cash for the opening weekend and we’re all caught up with the 20+ MCU films. But what about our hapless dates and companions who we bring along to see Avengers: Endgame? What if they have no idea who Rocket Raccoon is or where Wakanda is located? The intricacies of the cinematic universe could be explained, but wouldn’t it be better if they see for themselves? Easier said than done, there are over 20 films to slog through, and not all of them are great. 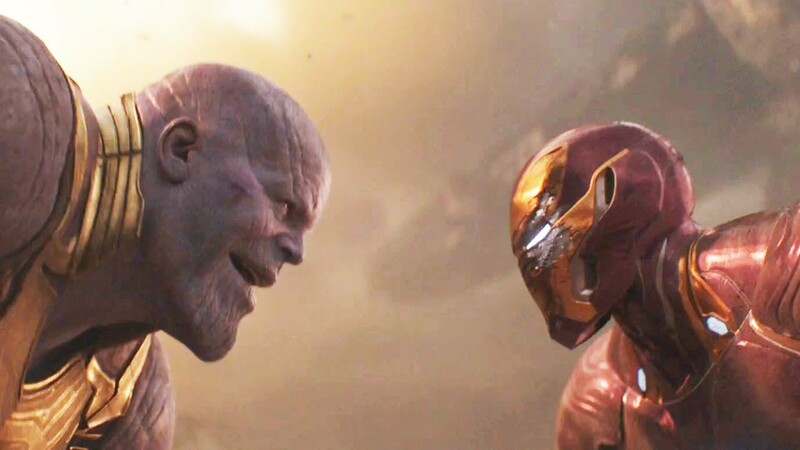 You’d be doing them a favor by suggesting just a few MCU films to watch before Avengers: Endgame, so at least they won’t be distracting you with annoying questions as the Avengers prepare for that final battle against Thanos. Like last year when we presented 10 films to see before Avengers: Infinity War, here is another list and this time, let’s cut it down to the bone: five MCU films to see before Avengers: Endgame in alphabetical order. Some spoilers will follow. The concept of quantum realms was first introduced in this film’s predecessor, Ant-Man. But this sequel explores the mysterious realm much more. We learn that there are time vortexes within the miniscule dimension that Hank Pym explores in order to rescue his lost wife. Also, Ant-Man and the Wasp is directly linked to the devastating events of Avengers: Infinity War as seen in the mid-credits sequence as the Wasp, Hank Pym and Janet Van Dyne are victims of the Decimation or Thanos’ snap. 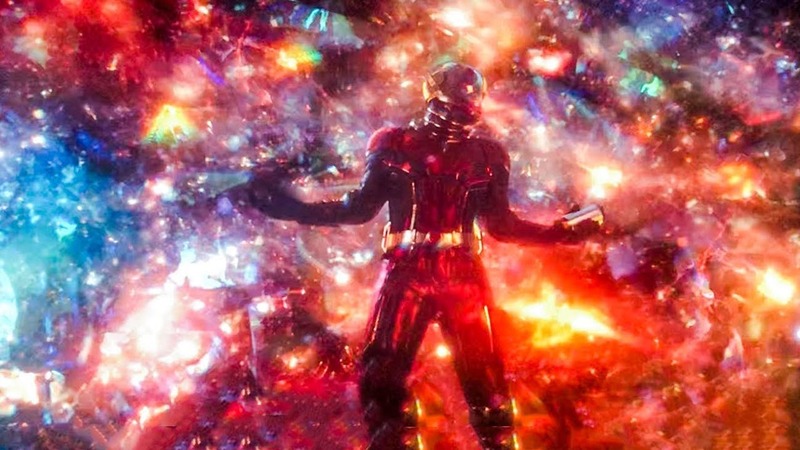 Meanwhile, unaware of how directly involved he is now with the universe-spanning event, Ant-Man is trapped in the quantum realm and his time spent there will most likely hold the key to victory for the Avengers as teased in the trailers for Avengers: Endgame. Needless to mention, that the plucky Ant-Man will be a critical player in the coming film. It’s not the best MCU film, but it’s proving to be a vital nexus for what happens in the Marvel Cinematic Universe afterwards. There are some plot points that are relevant to the other Avengers and MCU films, which include heroes become obsessed with upcoming threats. Iron Man has visions of Earth doomed by cosmic forces, which leads to his ill-advised creation of Ultron and fractures his relationship with Captain America. Meanwhile, Thor learns about the Infinity Stones and leaves the team to search for them, to no avail. Meanwhile, Captain America’s visions of his lost love, Peggy Carter, imply his soul is still haunted by their separation by time and as hinted at in Avengers: Endgame, perhaps this will be addressed. We also discover that Hawkeye has a loving family and the latest trailer implies that they are victims of the Decimation. This explains why he takes on the persona of Ronin in the film. It should be noted that there are rumors that the villainous android, Ultron, will return in Avengers: Endgame. Well, duh! It’s the Avengers film right before Endgame! 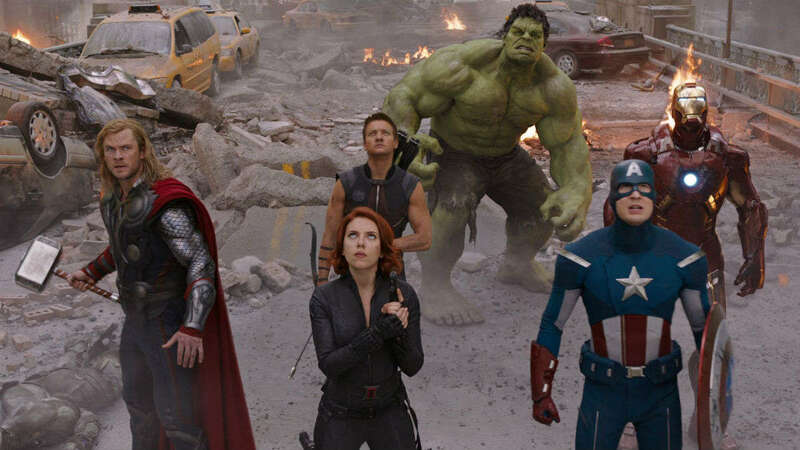 The fourth Avengers film is a direct follow-up to Avengers: Infinity War and explores the aftermath of the devastating events shown in the third Avengers film. Viewers learn about Thanos, his twisted motivation and fiendish plan to snuff out half of all life in the universe. What’s fun to watch are the interactions, appearances of and team ups with the MCU’s finest, from Spider-Man to Doctor Strange to the Guardians of the Galaxy. This was a true epic crossover film that ends with Thanos triumphant and half of the MCU heroes turned to dust. 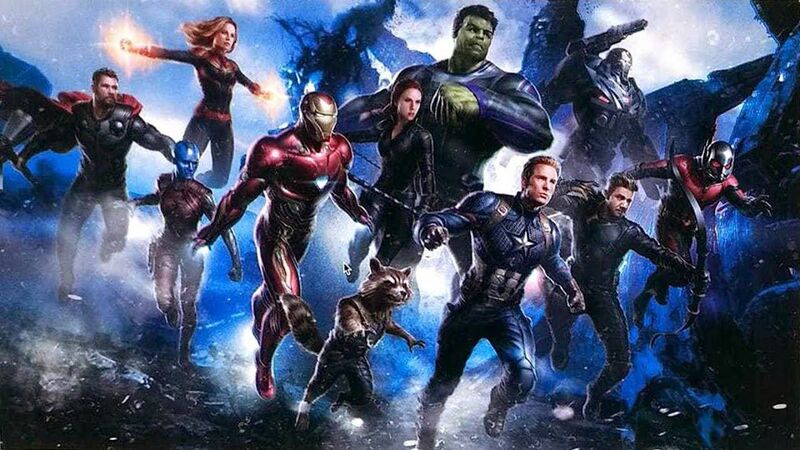 It only makes sense to see this film before Avengers: Endgame to at least see the set up before the fourth Avengers film and understand the high stakes for the surviving heroes. The first Captain America film has one of the earliest appearance of one of the Infinity Stones, the Space Stone and of course, features the star-spangled debut of Captain America, aka Steve Rogers. As shown in the Avengers: Endgame trailer, unlike the last Avengers film, he will be more vital to the film’s main plot. 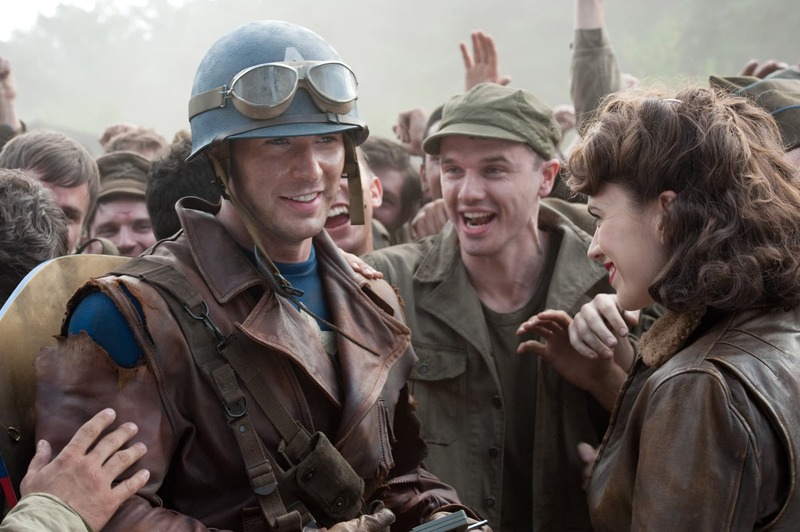 Just as important, Captain America: The First Avenger explores the relationship between Steve Rogers and Peggy Carter. The tragedy of their budding romance is that it was never fulfilled, something that haunts Rogers (see Avengers: Age of Ultron and the other Cap films). As hinted in some Avengers: Endgame trailers, this lost relationship could be a major plot for Captain America in the film. Perhaps, a clue to his final destiny? As stated in last year’s post, this film not only boasts the fabulous debut of everyone’s favorite cosmic misfits, but clearly explains the Infinity Stones and the background to the Infinity Saga. Rocket Raccoon, the anthropomorphic and snarky raccoon, debuts here and is one of the main heroes in Endgame as the sole surviving member of the Guardians. In addition to introducing viewers to the Guardians of the Galaxy, this film has the first full appearance of Thanos, who appears as a background boss, but already exuded a malevolent presence. Guardians of the Galaxy also debuts Nebula, who is Thanos’ daughter. We learn of her complicated relationship with her adopted father and sister, Gamora, and why she wants to kill her father. This obviously will be her main driving force in Endgame, which is only natural after she saw firsthand the effects of the Decimation. See these films if time permits. They are not crucial to watch and didn’t make the list of five essential films to see before Avengers: Endgame, but do add information and context about the beloved characters and situations of the MCU. Ant-Man (2015) is the first MCU film to feature quantum realms and other dimensions and of course, debuts Ant-Man, a major character in Avengers: Endgame. The Avengers (2012) introduces the superhero team and how they get along with each other, while featuring two of the Infinity Stones. Bonus point: Thanos makes his first appearance in the MCU in a cameo. Captain America: Civil War (2016) is more of a prerequisite for Avengers: Infinity War. In this film, we see how the fragile relationships between the members of the Avengers, especially Iron Man and Captain America, come apart. The dissolution of the team is why the heroes lose in Avengers: Infinity War. Captain Marvel (2019) of course, features Captain Marvel, who will be one of the major characters in Endgame as seen in the film’s mid-credits scene. Doctor Strange (2016) has the Time Stone, possibly important to the fourth Avengers film since the film’s plot is rumored to involve time travel. Iron Man 3 (2013) explores Tony Stark’s fragile psyche in the aftermath of the cosmic events of The Avengers. It helps us understand his state of mind in future films, culminating in Endgame. Guardians of the Galaxy, Vol. 2 (2017) heavily features the cosmic side of the MCU and Nebula, a key player in Avengers: Endgame, as she transitions from a villain to an anti-hero. Thor (2011) marks the first MCU appearance of aliens, the cosmic portion of the Marvel Cinematic Universe, and the God of Thunder himself. Thor: The Dark World (2013) is one of the weaker MCU films, but has one of the Infinity Stones, the Reality Stone, a major macguffin in the second Thor film. Thor: Ragnarok (2017) sets up Avengers: Infinity War towards its end and provides context for Thor’s state of mind in the final Avengers films. By Starloggers  Posted in Comic Books, Entertainment, Everything Under the Sun, Movies, Speculation & Analysis, superheroes	 Tagged Ant-Man, Avengers, Avengers: Endgame, Avengers: Infinity War, Captain America, Guardians of the Galaxy, Infinity Saga, Iron Man, Marvel Cinematic Universe, MCU, MCU films to see before Avengers: Endgame, quantum realm, the Decimation.